It’s hard not to love a city like Edmonton where, even in the dead of winter, new festivals can be imagined. 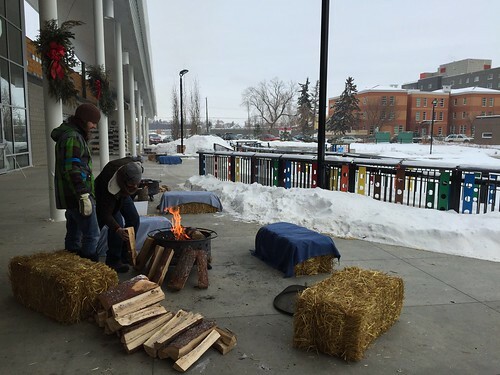 Last weekend, The Local Good’s inaugural Edmonton Resilience Festival took place at the Boyle Street Plaza. The Festival aims to “strengthen community resilience through skill-sharing workshops and other events, inspiring participants to help create a sustainable, creative and promising future.” Session topics ranged from healthy living to cooking to community building, and were organized into streams, but there was also the option to purchase tickets to individual workshops. For an event just in its first year, it encompassed so many elements beyond sessions. Although there was a fee to register in the various hands-on and discussion-based workshops, organizers did not want financial means to be a barrier for those interested. As such, they had planned many free activities open to the public, including more formal learning opportunities as well as more informal chances to connect with others through conversation cafes or information booths. 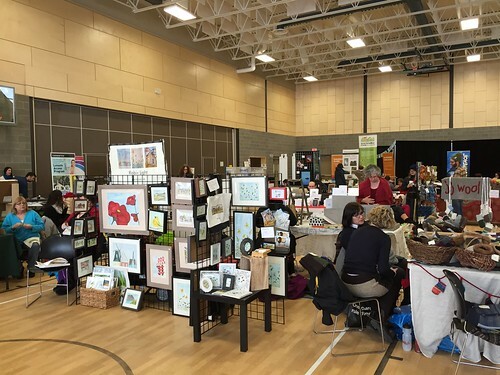 On the Spot Pop-Ups had also been asked to be a part of the event, and organized local artisans to be on-hand displaying and selling their wares. I attended one of the workshops on Sunday morning, alongside my friend Su. There are few things that would have convinced me to be ready to learn at 8am on a Sunday, but fresh bread is definitely one of them. 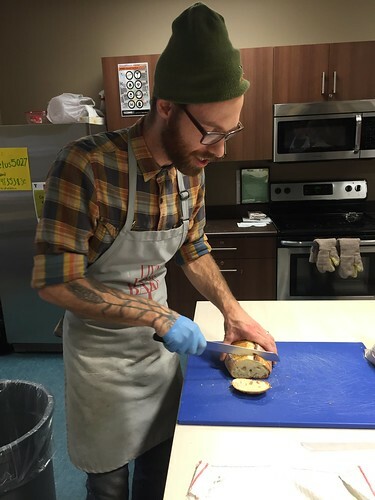 Owen Petersen, of Prairie Mill, has been an instructor at Eat Alberta for years, but I’d never had the chance to participate in his class before. This was a great opportunity to do so, all for just $25. 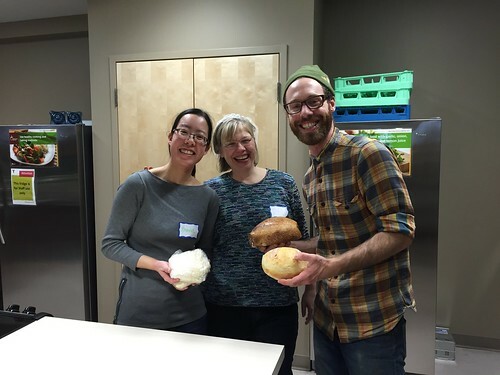 The class took place in a kitchen on the second floor of the Boyle Street Plaza. Perhaps a reflection of the early start time, there were just six of us in the group. 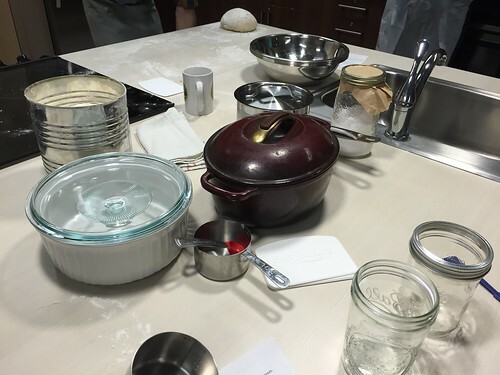 Because of this, it was even more interactive, and Owen was able to answer all of our burning questions about yeast, flour and baking vessels (did you know that to simulate a steam oven, all you need is to bake your dough in a lidded container? Genius). We were each gifted not only with a jar of Owen’s starter (18 years old and named “Julie”), but also mixed up a batch of dough to take home. Owen’s methodology was so straightforward, that both Su and I felt inspired to start baking immediately. 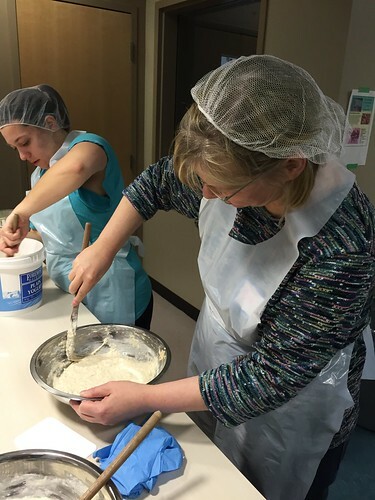 The class reminded me of Anna Olson’s pie dough recipe at Christmas in November – it was enabling instead of discouraging, as some more finicky, perfection-driven chefs have been known to be. 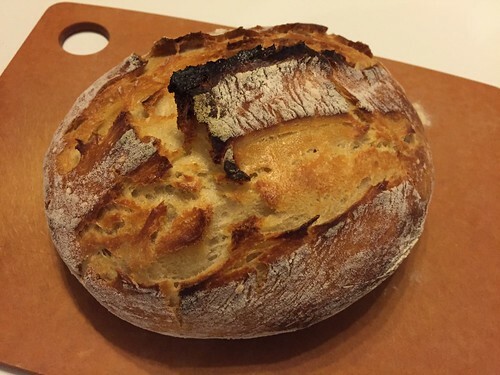 I learned that breads made from starters are more forgiving than those made from dry yeast, which again, made the process of baking seem less daunting. 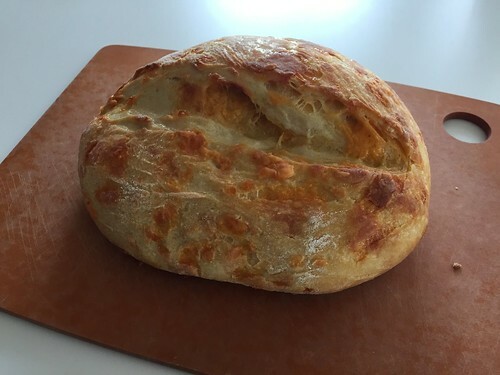 Owen shared a story about forgetting about dough in his car overnight, which still resulted, the next day, in a fairly good loaf. After the session, I headed home and incorporated cheddar into half of my prepared dough. It resulted in a pretty killer cheese loaf. A week later, with the remaining dough, I left the bread to bake even longer to achieve a more beautiful crust. Next week, the training wheels will come off though, and I’ll have to craft the dough from scratch on my own. But the promise of freshly-baked bread awaits. Thanks to Owen for leading a wonderfully educational session, and to The Local Good for organizing a great festival – here’s to next year!